Did you properly follow the instructions? If you did, that shouldn't be possible. My guess is that you deleted the old textures. i am installed all k versions to overwrite Earth folder one by one. it works now but how i can understand that instaled good ? 128k textures? This is what there should be in the Earth folder. Just go close to the land if you see an enhancement to verify. Will they ever put unmanned space probes in SE. Like the voyagers or pioneers travelling into interstellar space. That would be real nice ? SpaceEngineer, Can someone please tell me what i'm doing wrong? Here's the process. I want to bring titan's atmospheric brightness down some. I make a copy of catalogs planets file and paste it outside of the PAK file. I modify the setting i desire (save it). I then create a folder outside the PAK file (next to it) and place the modified file into it. I name the folder Planets. 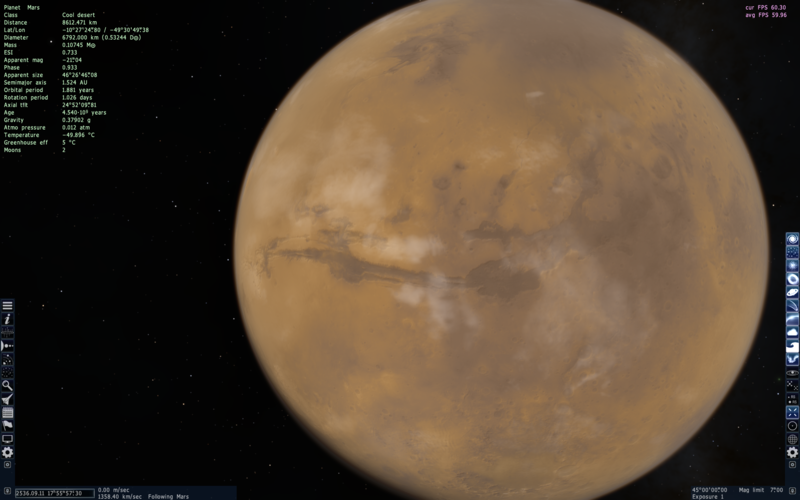 When I open SE, the solar system no longer vanishes, but Titan's brightness is still not changed. why did you downloaded all resolutions you only need one. Incorrect, you need all levels up to the one you want. jontttu, what do you mean it doesn't work? 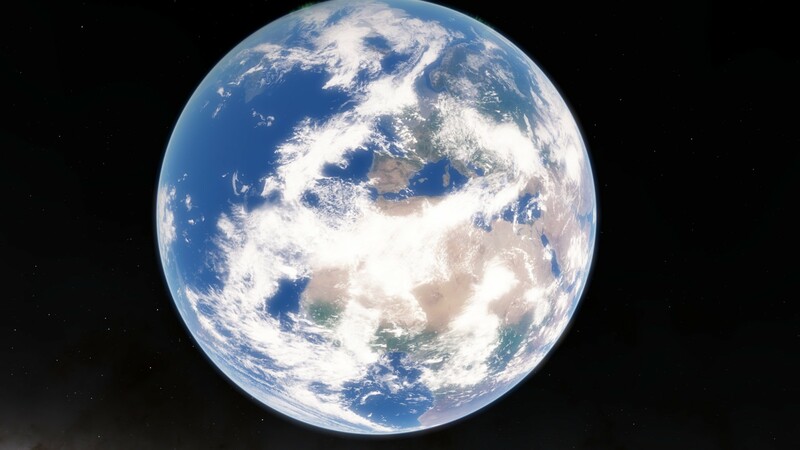 Keep in mind that these addons will not give any planets very high level of detail like procedural planets, they will still look pretty blurry up close. They just look a bit browner because they're not as deep as the oceans. It's still water. Again, it looks fine to me, anyway how can you tell if it's high res or not from so far away? 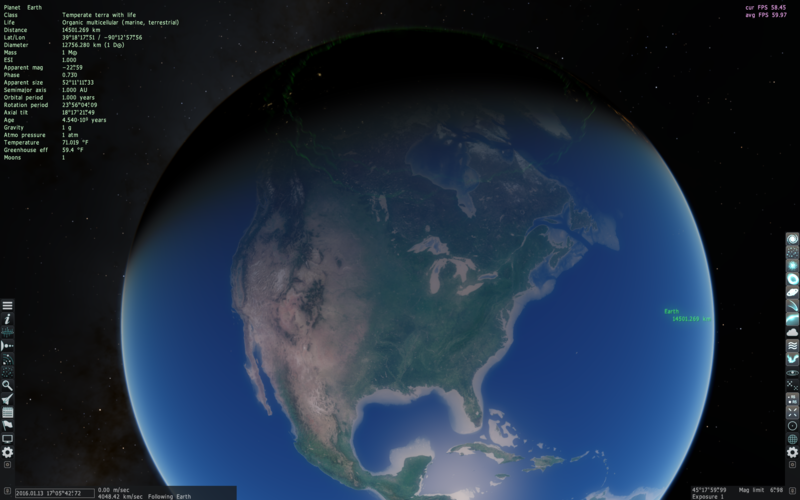 BTW, the cloud map will be low res regardless.